This paper was the basis for a series of studies prepared for the Missionaries’ Workshop in 1971 at the 33rd Annual Missionary Bible Conference. 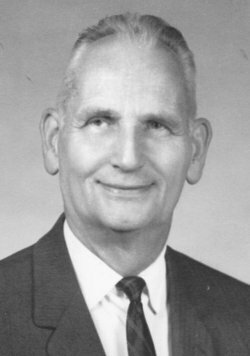 PASTOR CARLTON HELGERSON began his ministry in Woburn, Massachusetts in 1936 at the Scandinavian Evangelical Free Church, which became known as The Church of the Open Bible. Pastor Helgerson labored there faithfully and fervently for fifty-six years until his retirement in 1992. In addition to being known as a practical local church Bible teacher, he had a reputation for ministering to fellow pastors and missionaries. We thank the Lord that he was able to assist in this re-issue of THE CHALLENGE OF A NEW RELIGION twenty-five years after its first printing. He was called Home April 26, 1999. Much has been written in opposition to the questionable practices of neo-evangelicalism. Books have also appeared in defense of such practices. Yet few seem to understand what this movement really is. Something needs to be said that will explain the nature of this movement, especially for the benefit of any who might assume that our aversion is limited to its methods. As one who was deeply involved in the movement in its beginnings and who has since watched and studied its development, I can testify with knowledge. Neo-evangelicalism is a slanted way of thinking which, like a virus, has infected many of us to some degree. I beseech my brethren to recognize the seriousness. To what extent has this virus entered our thinking? We should let judgment begin in our own hearts lest we criticize in others what we unwittingly nurture in our own minds. Since both proponents and opponents recognize that mixture and compromise characterize the movement, it is not unreasonable to caption it as a new religion. There is today a very strange approach to truth. Black versus white thinking is not the vogue today. Gray thinking is. We began to observe this in the middle fifties. Something is inhibiting the minds of men, something they cannot readily explain, something they feel and assume, namely, that one cannot be too sure about anything in the realm of morals and religion! To some degree this affects us all, believers as well as unbelievers. Man’s approach to truth tends to be on the basis of synthesis rather than antithesis, i.e., mixture rather than opposites. The result is an aversion to dogma and absolutes. The mind is exposed in the Scriptures as a marvelous thing yet a part of man’s fallen nature. The Bible shows us not only what the natural mind thinks, but how it thinks. The slanting of the mind has always been an effective work of Satan. Paul warned the Christians about the ever present danger that their minds be corrupted. This combination of circumstances, the current brainwashing plus Satanic influence, causes uncertainty to lurk in the mind on every subject, with the possible exception of certain scientific disciplines. The scholar is aware, of course, that our society has become saturated with the old humanism. However, the average person has simply found himself immersed in uncertainty and does not really know how or why. To protect his ego the scholar may assume a posture akin to aloofness and maintain an air of being willing “to look at all sides of a question” so as not to have to admit to himself or to others a sense of despair that he is also an insecure man. The average person, unable to cope with the inner frustrations he cannot explain seeks refuge in activity or carnal pleasure. This frame of mind—uncertainty and insecurity—is particularly present and in many ways peculiar to our era. It also affects the Christian in that it subconsciously hinders a complete subjection to the written Word of God. This prevailing mental state makes it easier for the devil to introduce doubts about the accuracy and importance of many passages of Scripture. Unless we understand this, we will not discern the underlying factors that produced such changes in emphasis and in practice which we witness today among some of our brethren. This is written not to try to excuse neo-evangelicalism but to help to explain it. For example, anyone familiar with education in America knows that for years children have not had their minds properly guided with respect to authority, values and absolutes—the influence of humanism in the educational system. Many Christian schools have shied away from dogma, having yielded to the “let’s-not-be-too-dogmatic” attitude. Earlier generations thought in terms of absolutes: some things were right and therefore if they were right the opposite was wrong. The way people thought and reasoned gave them a mental security. In our day the thinking, knowingly or unwittingly, with respect to truth and how to approach truth, has shifted from the positive to the uncertain. More of this is in each of us than we may be prepared to admit. It lies at the very root of neo-evangelicalism, hence the resort to mixture and compromise. The combination of the absence of dogma in education plus man’s egotistic bent to appear scholarly by avoiding dogma produces insecure men. It has certainly had its effect upon evangelical theology. Once there was general agreement that “faith is taking God at His Word and acting accordingly.” Today logical preference is equated with faith, but mere logical preference is not faith! In this prevailing atmosphere of uncertainty, Christians who have not become slaves to the Word of God will seek sanctuary and emotional satisfaction in a religion that, while giving the appearance of being progressive and somewhat conservative, requires but the very minimum of dogma. It is doubtful if many who have been influenced by neo-evangelicalism will admit or even recognize the mood that prevails in the way they think. Nevertheless, we cannot provide a fair analysis of the movement unless and until we note the current frame of mind in our society where moral and religious uncertainty prevails. When evangelical leaders who should know the truth confess to be “seeking after truth,” there is the symptom of the presence of synthesis in their thinking. If we are to be fair and penetrating in exposing neo-evangelicalism, these influences must be recognized! Not until then can we be helpful. A man is not certain and secure in his faith if he requires the endorsement of other insecure and uncertain men. To the best of my knowledge, those who have been infected by the extremely dangerous virus of the new religion of mixture and compromise are inwardly insecure. We should try to see them as victims and not as villains. To begin to understand neo-evangelicalism, it is necessary to discern the peculiar way of thinking that produces it. For when the mind of contemporary society has been long conditioned to operate in uncertainty, the basis for moral assurance is destroyed. Seminaries contribute to this by devoting much time to the reading and consideration of opinions. The courses acquaint the student with the thinking of man, forfeiting the opportunity to learn the discipline of intelligent submission to the Word of God. In fact, among theological students doubts are honored as virtues! The virus spreads rapidly in this mental climate. Literally, philosophy means the love of wisdom. In classical usage the term implies a body of principles based on facts of history and human nature. In general, it is a term denoting a person’s concept of and adjustment to realities, and speculation is involved in formulating a philosophy. The mind that considers “all truth as relative, not absolute” is headed any way except God’s way! Pragmatism is the underlying philosophy of this new religion. As advanced by William James early in this century, it opines that only that which succeeds is truth. Pragmatism shares in the casuistry that “the end justifies the means,” and is akin to the existentialism that assumes that whatever seems best under the immediate circumstances must be morally correct. This is also the bent of our natural minds. Pragmatism is the driving force in neo-evangelicalism. Those infected with it have a hazy notion of truth. It cannot be otherwise, for it is contrary to the absolutes of the Holy Scriptures. The natural mind that accepts mixture instead of the certainty of absolutes will of necessity adopt compromise as the modus vivendi. Beware lest any man spoil you through philosophy and vain deceit, after the tradition of men, after the rudiments of the world, and not after Christ (Col. 2:8). The man who does not start right when buttoning his shirt won’t come out right. If his thinking is slanted or begins with the wrong premise, he won’t come out right either. The basis and the method of thought should be in recognition of the supremacy of the wisdom of God and in conscious repudiation of the philosophies of man. The neo-evangelical is not thinking the way God wants us to think! This is not to say that all who think according to these philosophies are unsaved people, but it is evident that in many the Divine Word has not come to mean very much. They have the familiar words but lack the life. The majority of young men now in or aspiring to full-time Christian service have the inhibition of mind and the slanted thinking that makes them neo-evangelical, having never known any other way. They have not inquired to learn the difference between the new evangelicalism and the old evangelicalism. They assume that what they believe is genuine Christianity updated and made more progressive. It is not. It is a different thing! To alert, awaken, and charitably to correct this generation of new evangelicals would not be so difficult if it were simply a matter of showing them the Scriptures. We find the problem compounded because their thought patterns are so different from the logic and the humility demanded by the Scriptures. Their whole philosophy is at variance with the Word of God. The older generation of its leaders, many of whom once adhered to sound Biblical fundamentalism that recognized vital dispensational distinctives, know full well that they have another religion. We can only assume that they have allowed their minds to be “corrupted from the simplicity that is in Christ” (2 Cor. 11:3). Bear in mind that we are dealing with an ism that is not far away in a separate and distant compartment, but like a virus that is not contained within a political subdivision, it moved into all segments of what once was Biblical Christianity to seriously infect schools, publishing houses, missions, and churches! As we proceed in our analysis, keeping in memory the fact of the slanted thinking behind this ism, let us be discerning in order to discover if perhaps some of its errors may have already become lodged in our own minds. Neo-evangelicalism’s concept of witness or being a witness stems from its subtle humanism. This concept may be seen as a symptom of the presence of the virus. It reasons that the more successful, prosperous, or popular a Christian can become in the eyes of the world is in itself a witness. Be it in athletics, sports, profession, politics, or business, he or she is more pleasing to the Lord and thus is a testimony per se. How sad it is to see our young people being influenced to believe that self-advancement is a witness. It makes greatness or success synonymous with godliness. To popularize personalities is a part of this propaganda. The ism’s notion of witness is that the bigger a person is in the affairs of men the greater will be his influence for God upon his society. Its objective is to make an impression upon the world. This is one reason why bringing converts out of another culture to train in “Christian” America is doomed to failure. You will note that the heroes often placed before our youth are athletes, sportsmen, entertainers, and movie celebrities. If a politician can be paraded before people as another example, it also is considered a most effective witness. Anything to make the world sit up and take notice is deemed a witness for Christ. For this reason, neo-evangelicalism will tolerate and even encourage modern charismatic expressions—emphasis on healings and tongues—because these attract attention and imply that God is active in the movement. There is quite an emphasis on joining the world and to become as involved with it as possible. Above all else, so goes the reasoning, show yourself a most congenial and jolly fellow so the world will be attracted by seeing that Christians are real people and enjoy what the world enjoys. They cleverly design the advertising to impress the world that many influential people, including Hollywood luminaries, are getting into this thing; that this new brand of Christianity is the most desirable thing that has come along and is most pleasurable and enriching. This idea is wrong. The whole approach is wrong, a distortion, and a misrepresentation. The natural mind is enmity with God and it can only produce a counterfeit program: i.e., impress the world by skillful organization; attract the world by the personalities neo-evangelicalism produces; change the world by increasing the number of joiners. Well intentioned and dedicated young people are lured by this Circean enchantment and unless carefully warned are drawn out of the will of God. Thus far, the ism has not spelled out a definite system. It probably never will. Its adherents represent quite a range of diversified opinions. Describing the dominant aspects is not difficult, however. It claims to believe in the plenary inspiration of the Scriptures, and most of its proponents profess to believe the fundamentals. Yet, their expressed ideas about inspiration and the slanted connotations they give to familiar creedal phrases leave much to be desired. This ought not be surprising because mixture and compromise are the very nature of the movement. (1) An obvious departure from Biblical fundamentalism is the assumption that some parts of the Bible are less important than others. This fallacy, which too many believers already take for granted, has done much damage in not a few Bible churches. Loyalty to the written Word can surely be questioned when human reasoning is allowed to decide what is and what is not important. Who is man that he should determine what is important? If the Bible is the Word of God, it is His Word. All He saw fit to include in those Writings are important to Him. Obviously, the personal worker will not read genealogies or tithing passages to the enquirer seeking salvation. Nevertheless, man has no right to say that some parts of the Bible are unimportant. What happens is, that after the idea that some passages are less important has been given forth and received, the so-called essentials are reduced in number and the so-called nonessentials are increased in number. Soon only a minimum of passages remains to be stressed! Believers should be warned that the Bible is being reduced by neo-evangelicalism. Prophecies and historical passages that do not meet their fancy are conveniently ignored. Although the Biblical doctrine of separation is one of the most prominent in the Scriptures, it can now be cleverly omitted by those who are committed to mixture and compromise. (2) Neo-evangelicalism professes to be most anxious to propagate the gospel. It claims that the chief purpose of God is the salvation of man. This is an error. Many unsuspecting believers have been deceived by the emphasis on winning souls, being told that one soul is worth more than the whole world. This assumption is not only a mistake, it is a clever deception, for it places soteriology above everything else. It makes man, not God, the center of one’s theology. Every Bible student ought to know that the chief purpose in all that God does, including giving us the Bible, is His glory! The humanistic element that places man’s salvation above the glory of God runs counter to what God has revealed. The salvation of souls is but one of the many ways by which God is glorified. We must put His glory first. Any lesser motive, including reaching the lost, dishonors the Author of the written Word, who has clearly stated His objectives. Neo-evangelicalism’s attitude toward the Word of God lacks the reverence that He deserves and demands. I find this attitude toward God’s Book, the placing of human reasoning and human values above God’s wisdom and glory, most objectionable. Surely it is a religion at variance with Biblical fundamentalism. This is seen in how the emphasis upon man’s value has evolved among those who have adopted it: soon they began to talk about “salvation for the whole of man,” “the redemption of the total personality,” “the societal implications of the gospel,” and now, “we need the social gospel in our evangelism.” This is nothing but the old liberalism in neo-evangelical jargon! The missionary knows, for example, that if he goes to the field for the glory of God, he will be sustained in adversity and retain courage when the visible results are few. For he knows he is there as a witness for the Lord and his ministry is for God’s glory even when the gospel is rejected. Were this not so the missionary could not remain on his post. The burden of the Epistles is to teach believers to allow the indwelling life of Jesus to be manifested, by which God receives glory. This has the priority. This revelation, received and yielded to, will produce the fruit of the Spirit by which God is glorified. God will perform the miracle of reproduction through these witnesses and for His glory. (3) The philosophy that underlies neo-evangelicalism prevents it from following a literal interpretation of Scripture. Therefore its theology, however diverse in some matters, is consistently opposed in practice to a literal interpretation; it is fluid and flexible, ever ready to concede ground to critics if this can appear to foster the image of being intellectual. The literal approach is the normal approach to understanding literature in any language. God’s Word must be received in its normal, literal, and plain sense! A reverent and plain approach to the Word does not rule out figures of speech. Once the literal interpretation of Scripture is set aside, there is no effective bar to heresy. (4) Mixture and compromise describe this movement. This is evident in its repudiation of a moral law of God, namely the Biblical doctrine of separation. From Genesis to Revelation this doctrine is there. More is said in the Bible on this subject than on salvation. In fact, the doctrine of separation is involved in the doctrine of salvation. God’s Word clearly teaches separation from alien religions, from idolatry, and from apostasy. Furthermore, it teaches that true believers separate themselves from professing believers who are disobedient. However, this new religion, calling itself evangelical, not only ignores the doctrine but treats with scorn those who adhere to it. Neo-evangelicalism finds a most happy relationship with the old line denominations that have long since gone into apostasy. It maintains a most cordial relationship with infidels. This is seen in its ecumenical evangelistic campaigns when it parades known liberals on its platform to emphasize sodality with unbelievers. Neo-evangelicalism has no relationship to a pure Christian testimony! (5) What makes this counterfeit so deceptive and so easily accepted by some is its mixture, as it manages to expound in rhetoric what sounds like Christianity—enough Bible verses to get the financial support of well-meaning believers and enough liberalism to appeal to the world. This mixture ought to convince us that it is false. You will recall our reference to synthesis in thinking. Never forget that mixture is the nature and chief symptom of neo-evangelicalism. And don’t forget that God hates mixture! An example of this is the acceptance of the theory of evolution in opposition to the Word of God by labeling it “theistic” as though God used that method. It pleases the devil because they now believe a fable. Because of synthesis in the mind to start with, neo-evangelicalism cannot be presumed to represent a pure Christian faith. The message of neo-evangelicalism is a mixture of familiar Bible phrases and expressions that carry a different meaning which does not represent verbal inspiration, literal interpretation, and dispensational distinctives. It claims to adhere to the apostolic faith but seeks to modify it so that it ceases to be the supernatural thing it once was. It will at times make statements with which any well-informed Bible lover will agree, then it will propose tolerance and carnal reasoning which make that Word of none effect. Its message caters to the desires of fallen man. The salvation or Christianity it offers has no cross to slay the sinful self; instead, it promises loads of fun and a happier way by which fallen nature can have more enjoyment. It speaks of peace and love, and whatever the sin-loving society may be agitating for is shown to be just what Christianity can give. The sinner’s ego and self-respect will more readily respond to the appeal that there are thrills to be had. So, instead of preaching the true implications of the Cross of Christ, the sinner is told that he only needs a new direction! Every effort is made to preach similarities, that being a Christian makes few demands that are unpleasant to the flesh, and that a commitment to Christ will enhance one’s enjoyment of this life. The word “fulfillment” is used a great deal, implying that the sinner isn’t too bad—in fact, he has much good potential and only needs to add his commitment to get fulfillment. The Christian faith is presented as something very much like what the world wants with something added. This is a pseudo-evangelicalism for it seeks to avoid the offence of the Cross. The Christianity the Risen and Ascended Christ gave to the Apostle Paul is muted or entirely unknown. The true message of the Cross slays the sinner. It does not fulfill him. It ends him! But this is not conveyed in the message that emerges from the slanted thinking of the new religion. Were it possible to describe its slanted message in a few words, we could suggest the words of the Apostle Paul when he wrote of the subtlety of error that could pervert the assembly. There are three: “another Jesus,” “another spirit,” and “another gospel” (2 Cor. 11:4). (a) Another Jesus is any concept and presentation at variance with the composite word portrait of Jesus in the Holy Scriptures. But, the Jesus currently being presented is an alien christ that has no relationship to the Christ of the New Testament, but is a gnostic idol, an imaginary hero or a personified slogan for the aspirations of the flesh—the product of fallen man’s preference for a deity conceived in man’s image, said to merit man’s best efforts, making few demands that might interfere with the pursuit of pleasure. This christ does not present a cross nor a yoke; he promises freedom from guilt complexes. (b) Another spirit is any concept and presentation at variance with what the Bible teaches about the person and ministry of the Holy Spirit. He is a Person with all the attributes of personality. He convicts of sin, righteousness, and judgment. He does not publicize Himself but exalts Jesus Christ. He is the vicar of Christ, indwelling every born-again believer. He directs the reapers in the harvest and governs the assembly. His presence and ministry are not discerned by the physical senses. But that spirit as conceived in the mind of man presented currently is no more than an influence. In its more sophisticated form, it is psychology inducing an atmosphere; in its primitive form, it is feelings, religious emotions, and sensations. In practice, it is a superstitious mysticism or the use of a computer to determine the where and how of missions. In fact, it is the spirit of this world now at work in the children of disobedience. (c) Another gospel is any concept or presentation, such as the pre-cross gospel of the Kingdom, at variance with the Gospel of the grace of God that the glorified Jesus Christ gave to the Apostle Paul. Moreover, brethren, I declare unto you the gospel…by which also ye are saved…that Christ died for our sins according to the Scriptures; and that He was buried, and that He rose again the third day according to the Scriptures. His representative and substitutionary death and His bodily resurrection constitute the good news which “...is the power of God unto salvation to every one that believeth...” (Rom. 1:16). Any slanting, twisting, or perverting of this message or omission of its implications of man’s moral guilt, the transaction at Calvary, and the free grace of God is false. But though we, or an angel from heaven, preach any other gospel unto you than that which we have preached unto you, let him be accursed (Gal. 1:8). They can attract the untaught to an imaginary Jesus—one’s own idol in the mind. A demon can easily provide a preternatural “presence” which the untaught will assume to be the Holy Spirit. The untaught can accept talk about peace, love, and divine help in difficulties as the gospel, but it is an alien message. Because of its ingrained philosophy and slanted theology, it employs unscriptural methods. It believes that the end justifies the means. Being wrong about God’s message, it follows that neo-evangelicalism will not pay attention to God’s method. To further its ends it will employ any means: devilish music, questionable characters as its propagandists and clever, even dishonest, advertising. One of the more obnoxious methods is its pretending that liberal clergymen are not unbelievers but sincere Christians who may differ on some matters. For example, at one new evangelical promotional luncheon, they introduced the Unitarian minister seated at the head table as “truly an evangelist in his particular segment of ministry”! A pure testimony must be free of mixture in word and in practice. The mixture of the pure, the impure, and the pagan in its very nature not only produces unscriptural practices but makes one wonder if the neo-evangelicals really understand the few fundamentals they profess to believe! For example, if they believed that God is holy and demands that His people be holy, they could not give the brotherly embrace to the worshipers of Mary, nor enter a partnership with infidels, nor remain in apostate denominations. There is something for everyone. The unwary in our churches who like the rhetoric that denounces sin, like the good old hymns and such terms as “salvation,” “repentance,” and “judgment,” will hear this; and those who feel comfortable when conservative men share in a program will see them. On the other hand, those who lean toward a liberal theology and worldliness, admire the language of contemporary revolutionists, thrill to the rock noise called music, will hear that. Those who respect religious quacks and faith healers or like to see the gyrations of feminine anatomy will not be denied such presentations. This method includes the persistent propaganda that the parade is moving God-ward, and smart people, people of prominence in all fields, even hippies, are joining up and having the time of their lives. Men of the neo-evangelical persuasion have also invaded foreign missions with their ecumenical evangelism, succeeding in uniting faith missions and denominational missions—conservative, charismatic, and liberal—in carnal enterprises to advance this brand of Christianity among nationals. According to their own reports they have received cooperation from Roman Catholic clergy in some instances. Their literature and publications report the use of computers to determine where to send missionaries and what their qualifications are to be! The Lord of the harvest can have no part in this new religion, so it is no wonder He need not be consulted with respect to the allocating of personnel to different fields. There is a subtle form of idolatry behind such practices. When the mind creates a concept of deity after man’s own image, instead of accepting God’s revelation of Himself, that mind will assume and adopt a methodology accordingly! One of the inherent feelings related to this aforementioned uncertainty about absolute truth is that mixtures are actually desirable, because history will eventually give its verdict on what was truth. Those who hold to this notion may on occasion use the illustration of oil and water, pointing out that just as oil tends to ride upon water, so any putting together of ideas, opinions, philosophies, religions, or right men with wrong men will eventually reveal what is best, or right, or true. We do not quarrel with the view that truth may eventually emerge as superior to error, but meanwhile the generation immediately affected will not see what truth is. The fact is that when the final accounting is opened by God there will be no doubt as to who was right or what was truth. However, believers are privileged to know the truth now, and have the obligation to live and practice it, as well as to proclaim it. To excuse mixing worldliness with the gospel, or to condone having servants of apostasy share in a joint evangelistic effort on the false premise that good will result and that the right will prevail is a violation of God’s Word and is a reproach to the name of Christ. The leaders explained the strategy for reclaiming colleges and seminaries. There was to be no battle with the Liberals, preaching, or raising emotions, but rather a contest on intellectual grounds. This meant conceding that the first eleven chapters of Genesis were unreliable; passages in the Psalms, 1 & 2 Kings, and 1 & 2 Chronicles regarding some events and the number of people involved were obviously incorrect; and that the God of the Old Testament in comparison with the God of the New Testament was harsh, cruel, and vindictive and could not be defended in our society. So 75% of the Scriptures were too uncertain. What they had left was termed the “irreducible minimum” of doctrine—weak enough to include all varieties of “evangelicals” yet provide one united voice with respect to academics and missions. We have already noted that its emphasis on soteriology, even to the salvation of society, tends to make God the servant of man. Its attitude toward the Bible is not that of humility but elevates its own reasonings to sit in judgment upon the Word. There is no evidence of the contrite spirit that “trembleth at My word” (Isaiah 66:2). No wonder then that it dares to teach that some parts of the Bible are less important than other parts. Neo-evangelicalism can also be detected by its attitude toward undisguised apostasy. The attitude is conciliatory treating infidelity as mere differences of Christian opinion. Its attitude toward the doctrine of separation is that it is outmoded, unrealistic, and incompatible with the contemporary emphasis on love. Pride of intellect is characteristic of this movement. It looks to the demonstrable, takes the position that the only passages of Scripture to have validity in our day are those that the human intellect can recognize as worthwhile. It can accept the prohibition against physical adultery because it finds reasons why such sexual promiscuity can lead to trouble. It does not accept the prohibition against spiritual adultery because separation unto holiness does not bring in the crowd. Neo-evangelicalism often speaks one thing and practices another. This is seen in its view of the church of Christ. It often uses terms and familiar phrases that imply the New Testament idea of the church, but this is just rhetoric. Its proponents consistently ignore the doctrine that only regenerated (born-again) believers constitute the “body of Christ,” although they may use the latter term; for in their practice and in the use of the word “Church” they usually mean all the organized bodies in Christendom. The satanic scheme is to draw as many from the Bible believing constituency as possible into the apostate ecumenical movement. We note also that on the local level where untaught pastors and laymen think in terms of organization every effort is made to get people into the organization, being unmindful of the fact that the local church, in the New Testament sense, is a living organism and God’s primary witness unto Himself in this dispensation. Scriptural separation, fundamental issues of doctrine, and proper methods are ignored in a feverish attempt to obtain commitments, however shallow. Neo-evangelicalism prompts, abets, and excuses this by its perverted slogan of “winning souls,” being very careful never to admit that there is apostasy in the denominations. Many colleges and seminaries are in the grip of this new religion. One after another of the Bible colleges has begun to capitulate to the pressures of this movement. By the infiltration of faculty members who obtained their academic standing in the devil’s territory, this counterfeit Christianity has corrupted the minds of many fine young people. When inquiries are made as to a school’s official and expressed position with regard to neo-evangelicalism, faculty members either avoid the issue by referring to a rather ambiguous statement in a brochure or pretend that they do not know just what the inquirer means. This has become the practice in many Bible schools. Pious platitudes and a vague statement that “we stand where we have always stood” give the earnest inquirer the brush off. We are not unreasonable to demand that the Bible colleges should take a stand, carefully inform students of this most serious defection from the truth, and help develop the student’s spiritual discernment. Most of the Bible schools of which we have personal knowledge prefer to keep a cowardly silence. For them to plead ignorance is inexcusable. All the literature, religious and secular, is as available to the Bible school faculty as it is to us. Students in most of the Christian liberal arts colleges are brainwashed to regard separation as a narrow view peculiar to a few ignorant Christians. Students in many Bible schools receive no instruction in depth in this doctrine with the intent that they should learn to abhor mixture whether in association or practice. In these trying times our young people need to spend more time in the Word than the curriculum many schools currently provide. Discernment can only be developed by knowledge of and submission to the inspired Word. Students must be shown that the God of the Bible hates mixture and judges compromise severely. We should be deeply grateful for the educational institutions that remain firm and have not bowed before this ism. The few Bible institutes, colleges and seminaries that understand and oppose the slanted thinking we have described and diligently prepare their students to teach and warn, merit our wholehearted support. Let us make sure that we are recommending and only supporting schools that make a clear distinction between the counterfeit and the true. The New Evangelicalism differs from Fundamentalism in its willingness to handle the social problems which Fundamentalism evaded. There need be no dichotomy between the personal gospel and the social gospel.…The New Evangelicalism adheres to all the orthodox teachings of Fundamentalism but has evolved a social philosophy.… The New Evangelicalism has changed its strategy from one of separation to one of infiltration.…Instead of attack upon error, the New Evangelicals proclaim the great historic doctrines of Christianity. Fundamentalism too often has been identified with peripheral emphases on doctrine and method, thus forfeiting the right to being a synonym with evangelical.…It has demonstrated little power to crack the social situation challenging the church today. 1. Note the admission that the New Evangelicalism differs from Fundamentalism. 2. Then there is the claim that there need be no separation between the personal gospel and the social gospel. No definition is given of the personal gospel, but the inference is clear that another gospel is also acceptable and necessary. This is mixing two gospels. 3. There is the confession of a change from separation to infiltration. This repudiates the Bible doctrine of separation! 4. Here is also a pronouncement that Neo-evangelicalism will not attack error! It confesses to tolerate it, leave it alone and not expose error. 5. It claims to proclaim the great historic doctrines of Christianity but does not proclaim the doctrines of the Word of God. 6. It criticizes Fundamentalism for being identified with peripheral emphases on doctrine and method. In fact, Fundamentalism does not treat doctrine or methods as peripheral but as vital and essential. It may be, at least I am not concerned to deny it, that within limits which science must define for us, there has been organic evolution—genetic derivation of one order or species of living beings from another. The convergence of many lines of evidence has satisfied the great majority of scientific men at the present time that it is so. The term “progressive creationism” is a good one. It is progressive in that it denies an instantaneous creation and fixity of species, allowing for a moderate amount of development. It is creationism, however, in that it denies that evolution has been total: God has created by a series of acts. 1. He surrenders to evolution. 2. He admits he believes in organic evolution. 3. He chooses what many scientists have said rather than the Word of God. 4. To make it seem religious, he uses the term creationism, implying that God is behind evolution. This sophistry is designed to give a limited lip service to the fundamentals of the faith while actually introducing another philosophy. When one reads such sophisms (and these are but samples), one cannot by any stretch of the imagination consider neo-evangelicalism to be anything but a wicked counterfeit. In fact, one finds it difficult to maintain that we are reading the words of victims and not villains. Surely, the predicted doctrines of demons must characterize this ism. Let the reader go back and very carefully restudy what we have written about the inhibited mind and the philosophy inherent in this new religion. Try to understand the evil nature of it. Do not attempt to make an assessment merely on the evidence of some of its practices. The devil wants you to believe that this is not a pseudo-Christianity. I have met and conversed with any number of people, including pastors in fundamental churches, who were actually thinking on the same premises and along the same slant as neo-evangelicalism and did not recognize it in themselves. Some I know became horrified when they discovered how much erroneous reasoning had already been absorbed in their own hearts. This Satanic movement manages to hide its intentions and to cover up its wolf nature by the sheep’s clothing of pious cliches and claiming to be reaching souls more effectively. Look to yourselves, that we lose not those things which we have wrought (2 John 8). 1. Any slanting of the Gospel that omits the need for atonement by the shedding of blood. 2. An aversion to dogma and a reluctance to acknowledge the verbal inspiration of the Scriptures. 3. A sentiment that regards as important only the Bible passages that directly relate to redemption. 4. An evident hesitancy to be against anything or to take a definite stand against apostasy. 5. Ignorance of or the disregarding of the doctrine of separation, especially as it applies to separation from wilfully disobedient professing Christians. 6. Covering uncertainty and insecurity by an abject adulation of science. 7. A pathetic dread of being in a small religious minority— a fear of not being considered broad-minded. 8. An inordinate admiration for novel methods and the latest versions of the Bible. 9. The justifying of questionable methods in missions or evangelism by pointing to successes, e.g., the popularity of the enterprise, numbers, “conversions,” etc. 10. Absence of awe before the written Word of God, making human reasoning the arbiter. 11. A love for the demonstrable and the emotional, and a tolerance of the modern charismatic movement. 12. A tacit admission of uncertainty by quoting and requiring the opinions of other fallible men rather than relying upon the infallible Word of God. 13. An avoidance of the unpopular Biblical doctrines of vicarious atonement, separation, judgment, Hell, etc. 14. An acquiescence to mixture in association and practice, and an accommodation to popular moods. Every child of God should be aware that he is susceptible to deception. Wherefore let him that thinketh he standeth take heed lest he fall (1 Cor. 10:12). We need to be aware of our environment, our fallen nature and our enemy! Note our environment: The intellectual climate of our time affects the thinking not only of the scholar but of the average person in contemporary society, and the prevailing environment of humanism and skepticism plus the enormous amount of conflicting reports via the communications media produce uncertainty about what really is truth. So, here I am, my mind conditioned by our time (to a greater extent than I may have perceived) to function in uncertainty. Therefore, I must awaken and consciously resist this attitude continually. Then remember our fallen nature: “The heart is deceitful above all things, and desperately wicked [i.e., sick]: who can know it?” (Jer. 17:9). “Because the carnal mind is enmity against God; for it is not subject to the law of God, neither indeed can be” (Rom. 8:7). “But the natural man receiveth not the things of the Spirit of God…neither can he know them…” (1 Cor. 2:14). The fallen nature of man holds the mind in an anti-God pattern. I also have that fallen nature in which my mind will think and reason exactly as does the mind of the unregenerated, unless arrested by and surrendered to the Word of God. Therefore, I must refuse to rely upon my own reasoning and consciously desire the mind of Christ. But I fear, lest by any means, as the serpent beguiled Eve through his subtilty, so your minds should be corrupted from the simplicity that is in Christ (2 Cor. 11:3). Satan specializes in philosophy and religion, is consistent in his church attendance, and is a master in counterfeiting. Here I am, vulnerable to Satanic suggestions, even to the perverting of any part of the whole counsel of God. Therefore, I desperately need spiritual discernment and must be critically suspicious at all times. All around us are insecure people; uncertainty is an undercurrent in all communications, not necessarily articulated but ominously present. In subtle and various ways we tend to absorb this mood. We need discernment. However wise one may think himself to be, the believer’s natural wisdom is no better than the world’s wisdom (1 Cor. 1:20), and his Adamic pride resists his becoming a fool that he may be wise in the Lord (1 Cor. 3:18). I must not be ignorant of Satan’s devices but discern, abhor, and honestly deal first with any symptoms of new evangelicalism in me. Then I am ready and compelled to take a resolute stand against it any time, any place. Neo-evangelicalism presents a challenge to our ability to exercise discernment and to distinguish between the soulish and the spiritual: a faculty that is not too well developed in many of us who profess to love the Lord Jesus. It is certainly a challenge in many ways to a most vital and unequivocal stand with respect to the Holy Scriptures—the plenary and verbal inspiration of the original manuscripts, especially. Then it challenges our understanding of the great post-resurrection salvation: essentially the presence and manifestation of the life of God in the believer unto holiness and Christ-likeness, rather than an attempt by the saved one to emulate the earthly life of our Lord. It obviously challenges our allegiance to the purposes and priority of God in this dispensation: His purpose above all else in everything and in and through every born-again believer is His glory; and His priority in calling out a people for His name specifically involves the local assembly, functioning as an organism, by which He is manifested unto the world and shows His wisdom before principalities in the heavenlies (Eph. 3:10). By its mixture and concession to worldliness, neo-evangelicalism is in competition with the Truth delivered to us by the ascended Christ and thereby threatens the furthering and preservation of a pure testimony. The Scriptural representation of Christ requires the embodiment of “the faith once delivered unto the saints” in both message and practice. Therefore it also challenges us to correctly understand and evidence the love of God as taught in the Scriptures, since neo-evangelicalism substitutes compromise and tolerance of evil for the love of God. A number of our faith missions have become seriously infected with the virus of neo-evangelicalism: unscriptural cooperative ventures, encouraging nationals to be trained in neo-orthodox or liberal seminaries, using computers to determine policy or placement of personnel, and adopting the intellectual/analytical approach. Is it Scriptural to copy industry and force veteran missionaries to retire at an arbitrary age while they are still willing and able to continue their labors satisfactorily? Gospel preaching missionaries are also being replaced by instructors in agriculture, automotive missions, veterinary service, etc. And not a few of the more recent appointees have been indoctrinated in the neo-evangelical philosophy. This new religion challenges us also to be discerning with regard to men and organizations that seek our support. We have to learn to distinguish between those who are obviously naive and those who have sold out to this alien philosophy; so that when we apply separation we won’t be guilty of unfair judgment. The immediate challenge to us is to provide for the instruction and protection of our young people. It is imperative that they be taught so that they will be aware of this counterfeit movement as its influences reach into our families via religious publications, radio programs, and Sunday School literature. Then, let us be careful so that our reaction to neo-evangelicalism does not cause us to move in with the extremists who thrive on negativism or mix political demonstrations with their fundamentalism. Turn not to the right hand nor to the left: remove thy foot from evil (Prov. 4:27). Our calling is to maintain a pure and accurate testimony in doctrine and in deportment. Therefore, we must not risk any traffic with what is questionable, nor tolerate what is unscriptural. Our conduct or association must not ignore the doctrine of separation. In no way is it to be inferred that we condone evil: neither by participation nor by silence! As nothing else that has come along in a long time, this movement threatens the true evangelical faith. Beware of it. Its philosophy at variance with and contrary to the Word of God is creeping into sound churches, undetected for what it is. The Epistle of Jude warns of this very thing (v. 4); describes the perpetrators as causing divisions, being soulish and not having the Holy Spirit (v. 19); and tells us how to deal with those who are in different stages of infection (v. 22-23). In meekness instructing those that oppose themselves; if God peradventure will give them repentance to the acknowledging of the truth; and that they may recover themselves out of the snare of the devil…(2 Tim. 2:25-26). On the other hand, the hard-core, having wilfully turned away from the way of truth, will not be amenable to an appeal to the authority of the Word of God. “…from such turn away” (2 Tim. 3:5). Our concern is not primarily the label of “Neo-evangelicalism” on the bottle (against which ill-informed zealots may rage in indignation); our deep concern relates to the toxic contents. Apostasy—the falling away to an opposite position, as from God to idols or from true Christianity to anti-Christianity, as shown by the Scriptures in history and in prophecy—is mainly a group movement, although individual defection is involved. Ere long—perhaps within one generation—this bending of a professed creed to accommodate wrong practice becomes burdensome and untenable. What was embryonic becomes total or full-grown apostasy, discards any pretense of its former profession, and hastens on its no-return, conscienceless course to destruction. He, that being often reproved hardeneth his neck, shall suddenly be destroyed, and that without remedy (Prov. 29:1). Some brethren, after having evaluated this analysis, have suggested that it might well serve as a basis for study in a Bible college or seminary; and that an assignment requiring the marshaling of Scripture, directly related to each of the subjects, would be most profitable to the student. Q. Were you at one time in the National Association of Evangelicals? A. Yes. And held office in the New England area and served on several committees. Q. What drew you to give time to this movement? A. I shared with many a deep concern over the unfortunate stance of the current fundamentalism: its poor public image, divisiveness among brethren, and its lack of a national, united voice. Q. How did you feel about the organization? A. At first very enthusiastic, since it appeared that we had found a way to more effectively harness together Bible believers with various denominational polities for a united effort to herald the Gospel, promote foreign missions, and reach the academic world with the claims of Christ. Q. What turned you away? A. Several factors. There was the growing doubt about the Scripturalness of the practices. Then there was the loss of spiritual power in my own life in being involved in a fleshly program that did not seem to need the Bible. I was also becoming uneasy about the inclusivistic policy which brought in heretics. Q. Were you a neo-evangelical? A. Oh, yes. But that term had not yet been coined and adopted. But the ism was at work. As I put it in my syllabus, I now shudder just to think how deeply I had become infected with that virus. Q. I realize you dropped out of the N.A.E., but what brought about your conversion from what was soon to be called, Neo-evangelicalism? A. On the intellectual level I would cite four theological considerations. Having loved—I still do—the Old Testament, I sensed that the leadership did not really know who God is, and this is very evident today. Nor were they aware of God’s purposes as He works for His own glory; that this and not man and his needs must be the base, the center, the practical outworking of a sound Biblical theology. I should also mention the hostility to dispensational truth in neo-evangelicalism. Q. What distinctive New Testament aspect was involved in your “conversion”? A. That leads me to stress the spiritual aspect. Briefly stated it was and is God’s plan, purpose and priority in the new order brought in by the bodily ascension of Jesus and the coming of the Holy Spirit to indwell believers. I cannot emphasize enough in this connection, the primacy and importance of the local assembly—Christ’s body in a locality. This revelation that so permeates the inspired writings of the Apostle Paul had a grip on my heart that the Lord used to deliver me from neo-evangelicalism. Q. Have you studied the movement through the years? A. Yes, indeed. For a time I thought that it might be like a passing fad. But its inherent and obvious evils have not only persisted, but in recent years have become what a dear pastor friend of mine rightly calls, “The deadliest of all isms.” It is a counterfeit. Q. How much time have you spent with missionaries in exposing this ism? A. For several years we have devoted about one hour and a half each afternoon for five days during our annual Bible and Missionary Conference in April. We also had time for discussions. Q. Have the missionary guests responded? A. It has been most gratifying to see how these servants of the Lord have begun to understand and to express their appreciation. We have quite a number of letters from missionaries telling us how valuable the studies have been, and in some cases they have confessed to having noted the philosophy of neo-evangelicalism in their own mission board. Q. What is your purpose in dealing with the subject? A. It is primarily—as we stated in the paper—to awaken us all to resist the infection of neo-evangelicalism in ourselves! Self-examination is imperative, for unless I deal with the beam in my own eye I cannot qualify to try to remove the mote in my brother’s eye. 1. See THE ETERNAL SONSHIP OF CHRIST by George W. Zeller and Renald E. Showers, Loizeaux Brothers, 1993. 2. For example, see works by Richard Quebedeaux, THE YOUNG EVANGELICALS (1974) and THE WORLDLY EVANGELICALS (1978), Harper & Row Publishers.